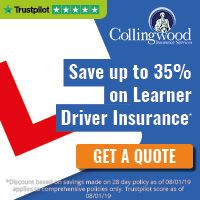 I give lessons to learner drivers, as well as those who wish to improve their skills and experience beyond the driving test, including motorway and refresher lessons. I have lived in the Croydon area for many years, so have a good knowledge of the local areas, including New Addington, Selsdon, Sanderstead, West Wickham, Beckenham, and central Croydon. Learning to drive is a very personal experience, so it is important that you have a good working relationship with your instructor. I aim to provide a relaxed and friendly environment with, of course, a high standard of training and professionalism. I aim to help my students to pass the driving test with confidence, and also give them the skills to enjoy safe driving for life. I am passionate about road safety, and enjoy meeting new people and helping them achieve their driving goals. I make lessons fun and interesting, and provide plenty of opportunities for questions. All lessons and routes I cover are individually tailored, to assist my pupils in building their confidence in all aspects of their driving. "I passed my practical driving test with Moh recently. He was really patient and hands-on from the very beginning of my driving lesson to the moment I am about to take my practical test. I highly reccommend Moh as a driving instructor as he have been very supportive and motivative along the way to passing my test with him as my instructor, because of him and our past lessons I now feel more confident on the road as a new driver, thank you once again Moh!" "I had the brilliant Mr. Mo as my driving instructor. Before I started driving lessons, I was nervous and clueless about what to expect. He was kind and helpful as a driving instructor and as a result I passed my theory and practical test without a fuss. I would not have been able to pass either with anyone else. I get anxious before knowing that I am going to be tested and he really assured me that everything would be fine and that I was ready. I just wanted to say how fantastic instructor he is and I would definitely recommend him to absolutely anyone." "My instructor helped me to constantly improve myself and not to give up after I failed the test multiple times. He even volunteered to provide the lesson during his day off before my test, which I really appreciate. Thank you for all your help." "Thanks to Moh I passed my driving test first time. Such a good teacher. Great skills an very patient. Always on time I would recommend any one to him. Best teacher I ever had. Thank you so much." "I would highly recommend Elite and my instructor Moh. He built my confidence back which I had completely lost with my first driving instructor. He brings the best out of you by motivating and appreciating you for all the correct things you do during your lessons. He is never negative and even if you make a mistake he explains it in a very calm way that it sounds positive and you always learn from them and try not to repeat the same errors again. He is very professional in terms of being punctual, his techniques and ways of making you learn and remember things and always making the other person feel good about their drive during the lessons. Thanks Moh for helping me out to drive properly and with confidence." "Moh at Elite Driving School was a great help in helping me and guiding me to pass my test. 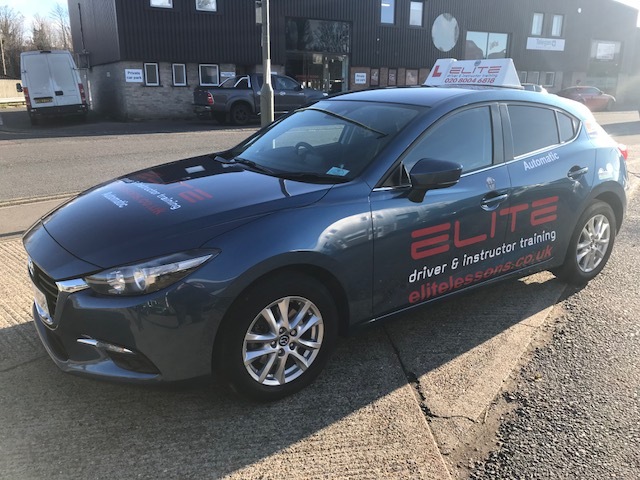 After taking numerous lessons with a previous driving company in 2017, I was getting no where, then I found Elite driving school and was assigned my instructor Moh who first assessed my driving to begin with. He made sure we went at my own pace,each lesson was not like the last, Moh gave constructive criticism and also made sure I was confident in my driving by encouraging me massively when I doubted myself and my driving." "Anyone looking for a driving school and a great instructor, visit Elite driving school. They have extremely great driving instructors who cater to your individual driving ability and needs." "I just passed my driving test today 1st time thanks to Moh and his excellent teaching skills. Moh is a patient instructor who knows his job to detail and would recommend him to anyone in need of an instructor. He is always punctual and a man who loves and enjoys his job. I will definitely recommend him to my friends." 'Mo is simply an amazing instructor. With his secret formulas and his calm teaching manner Mo is the instructor you want. He is the driving instructor guru and really knows how to get the best results.